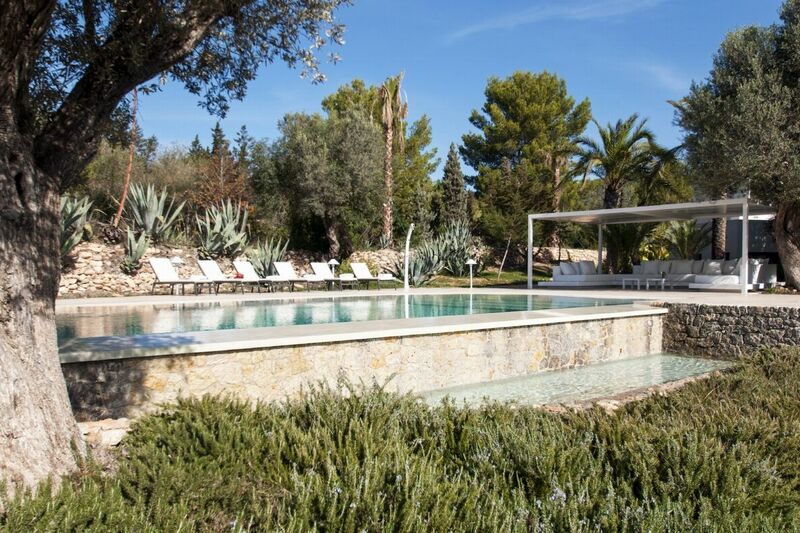 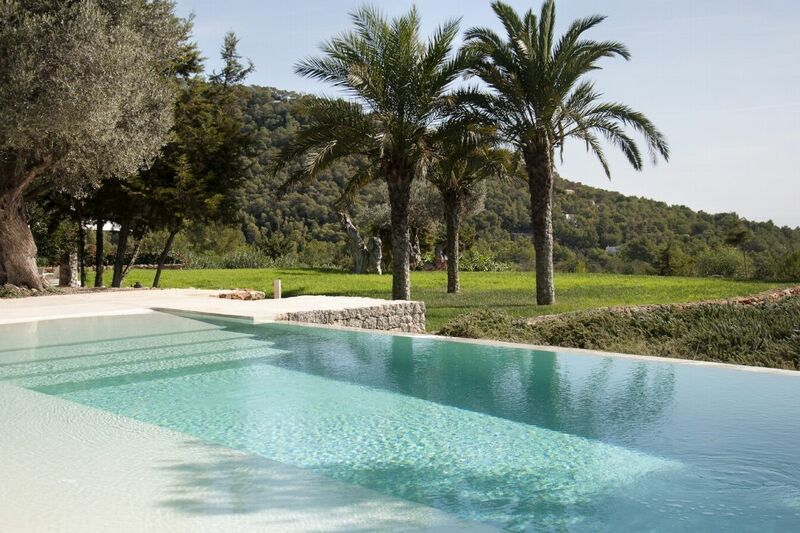 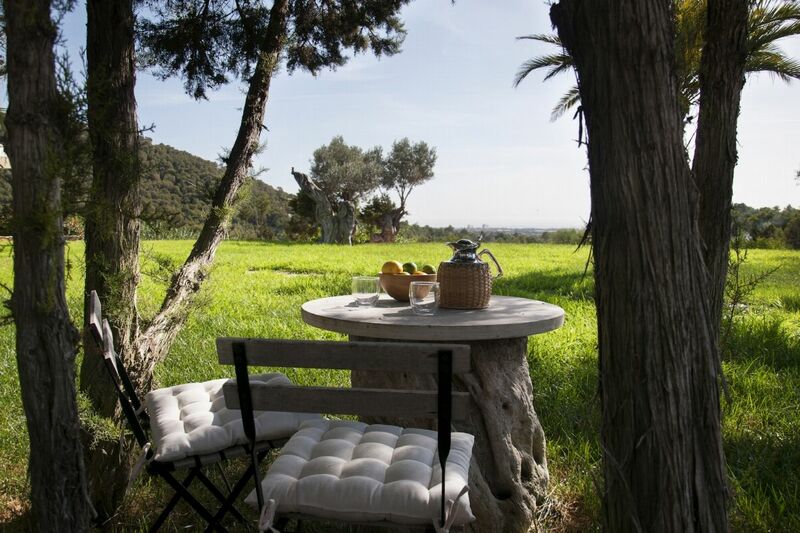 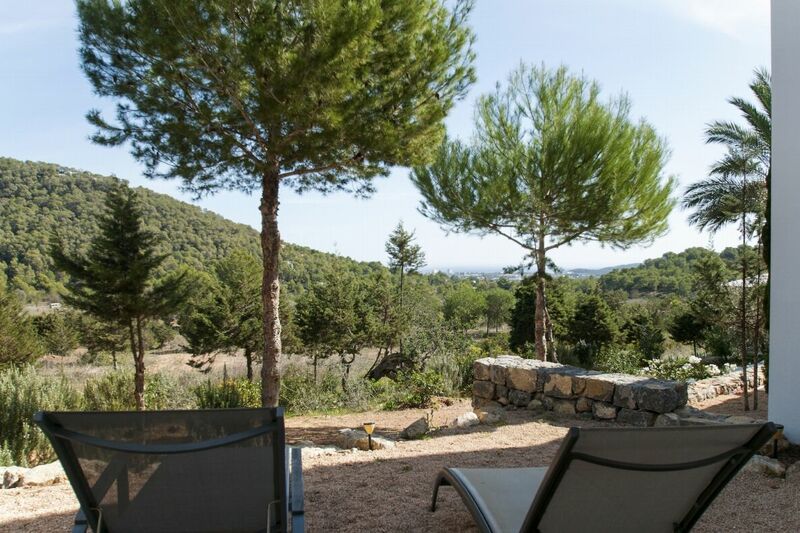 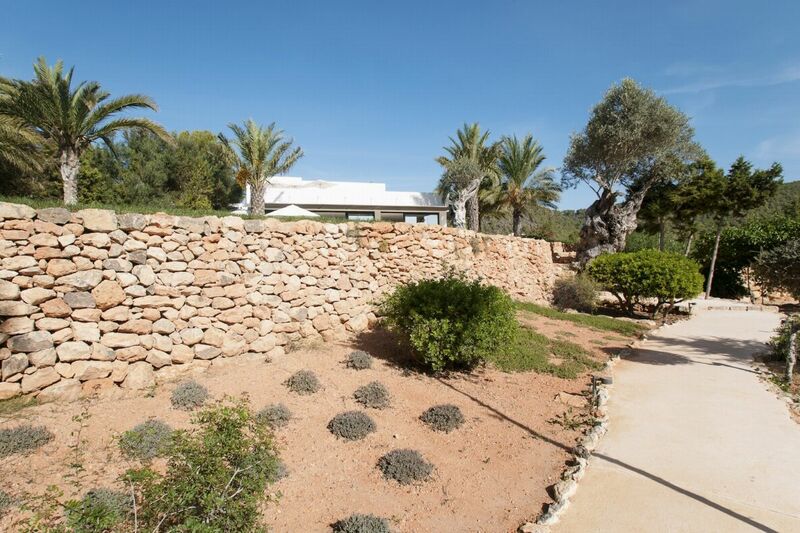 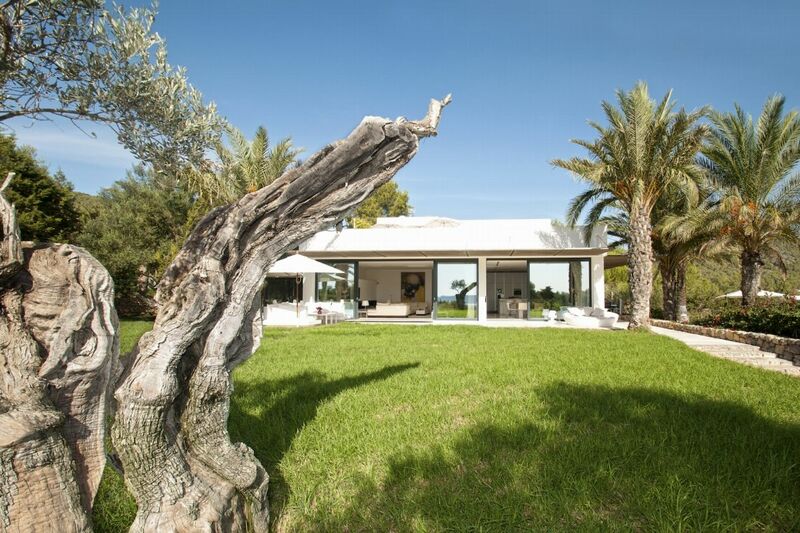 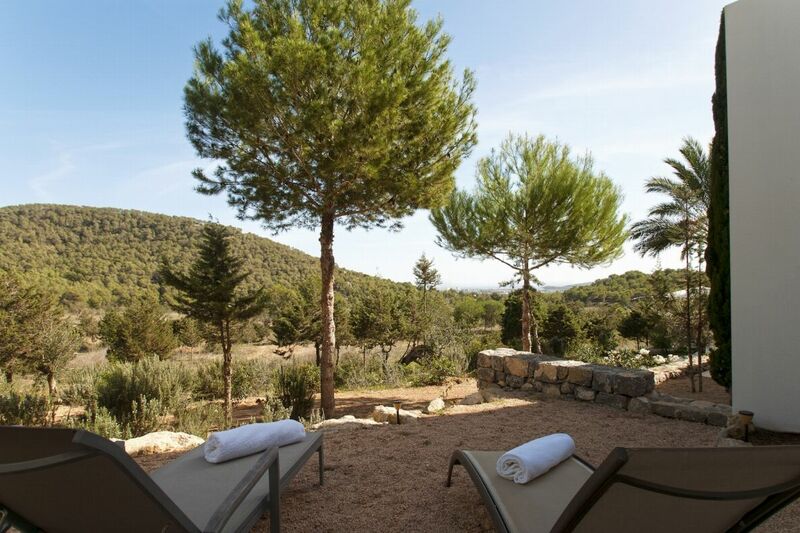 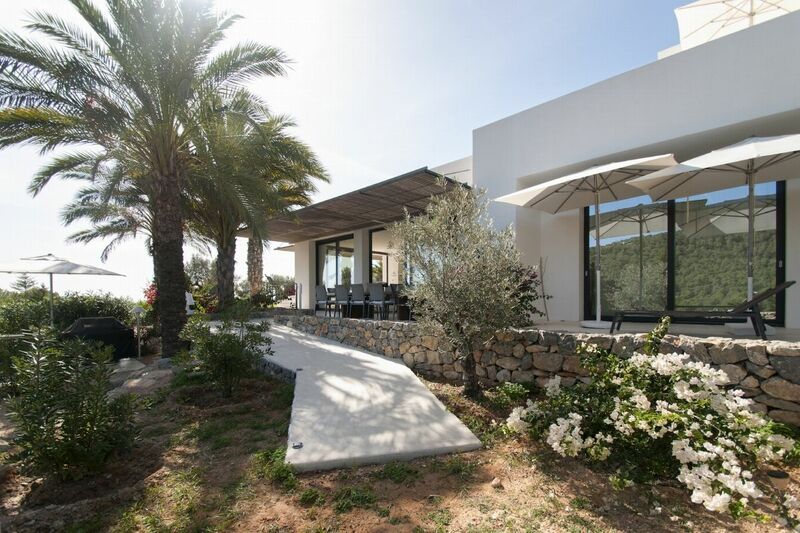 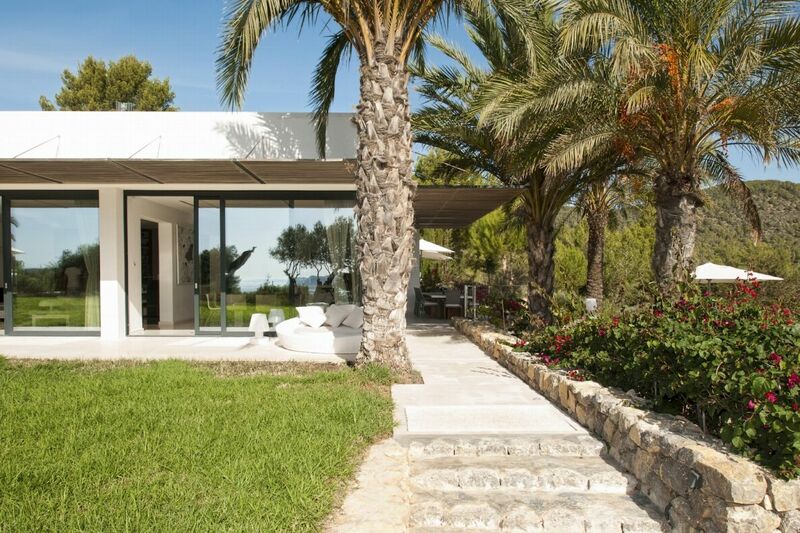 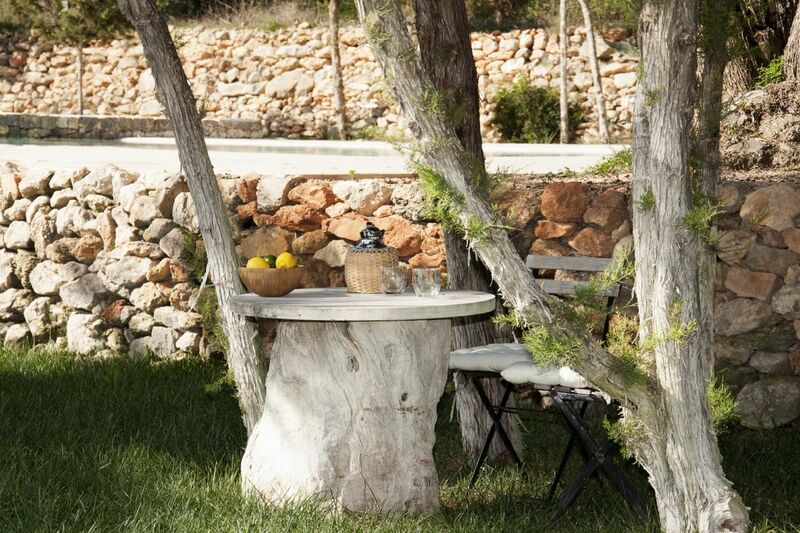 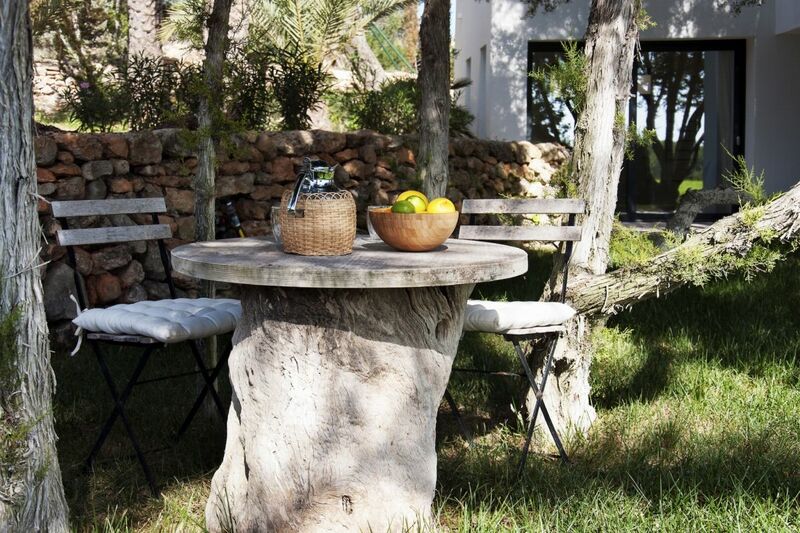 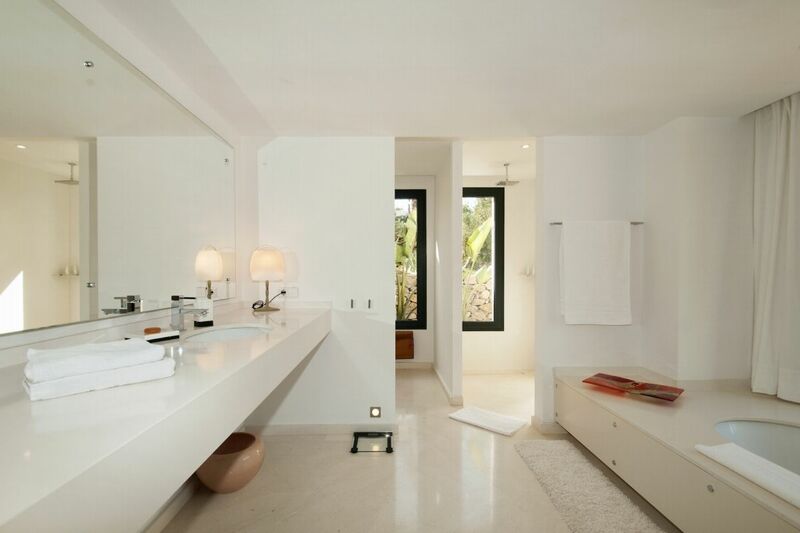 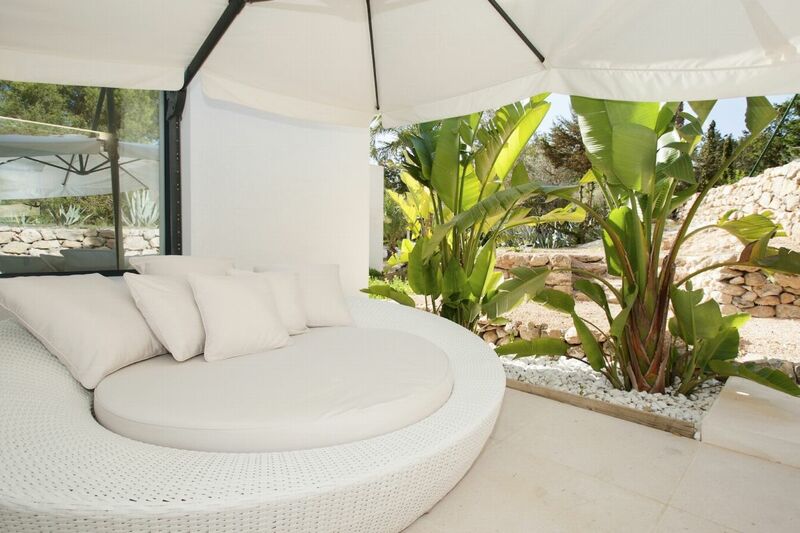 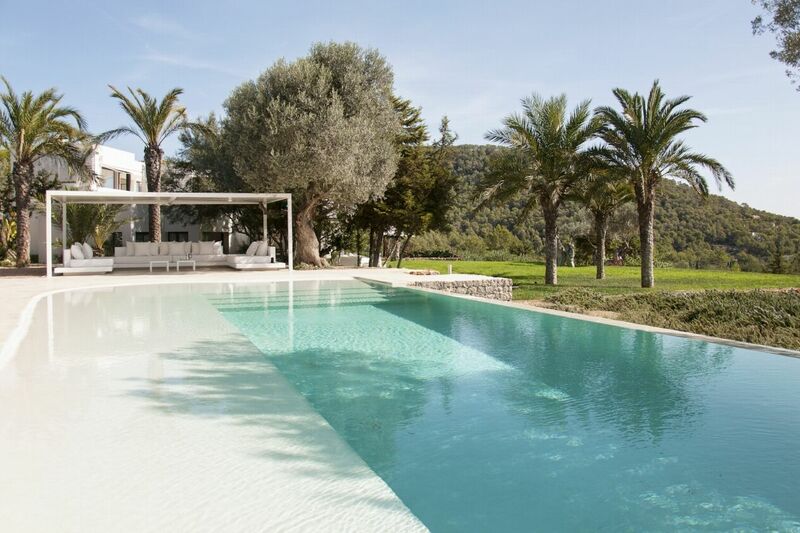 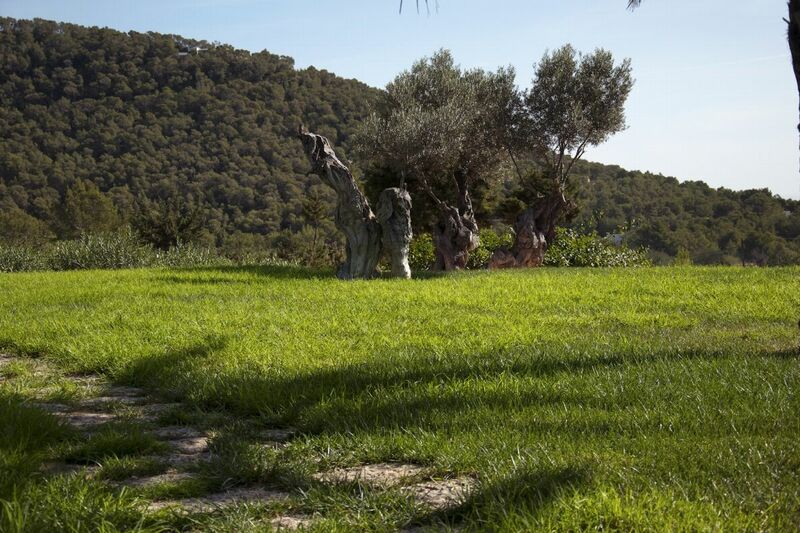 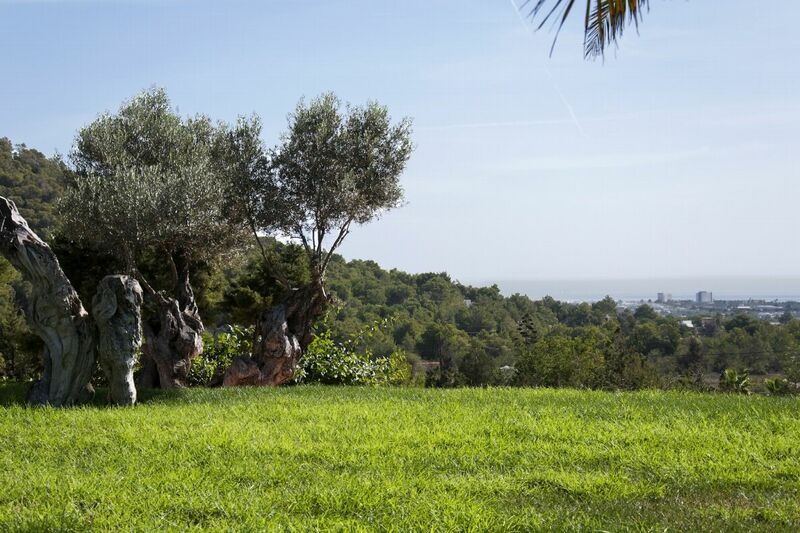 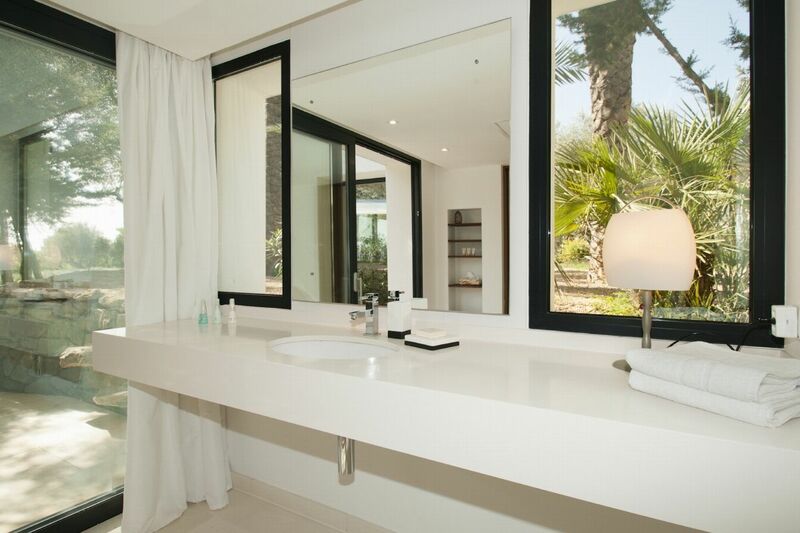 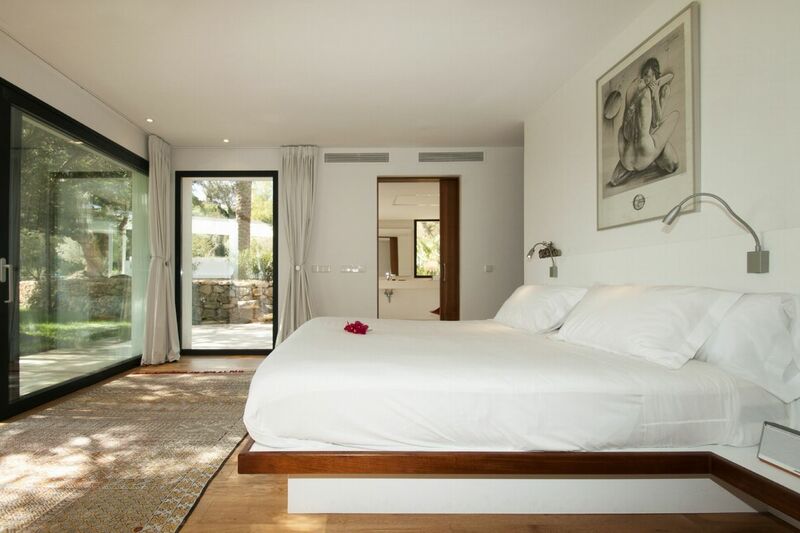 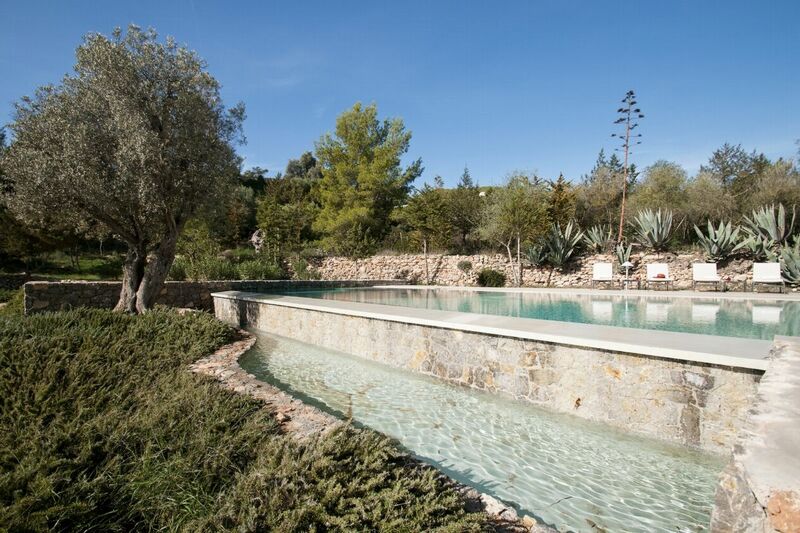 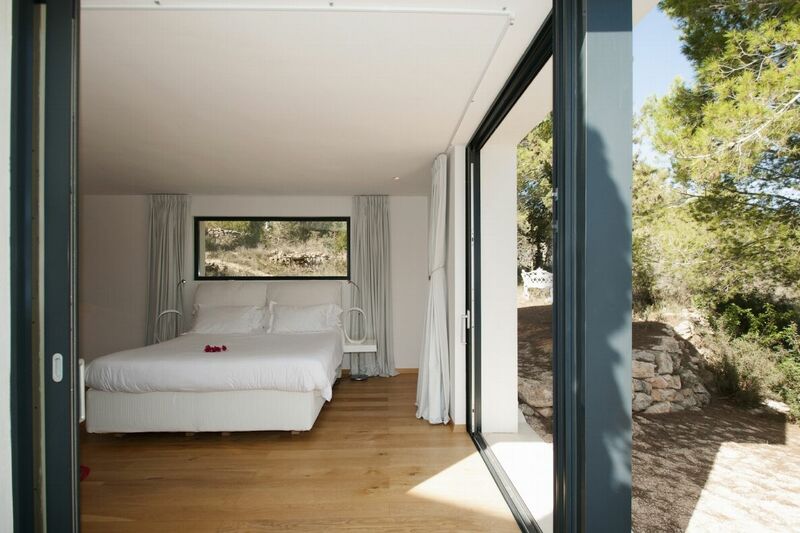 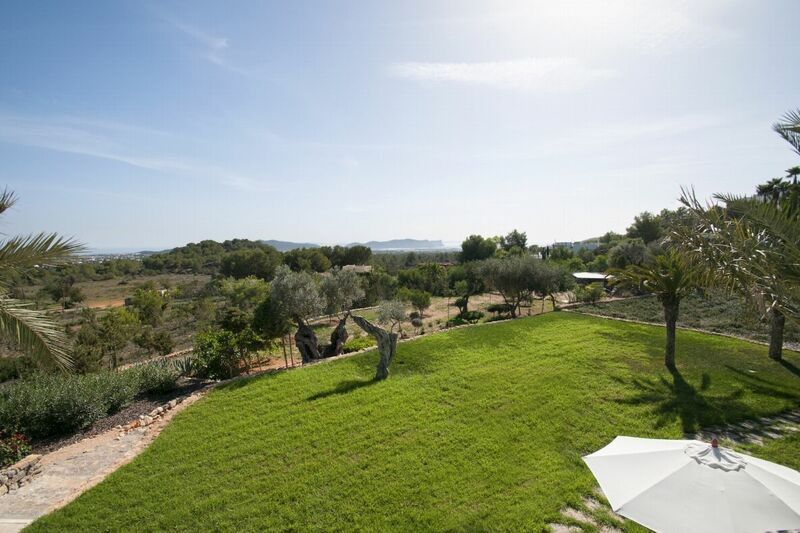 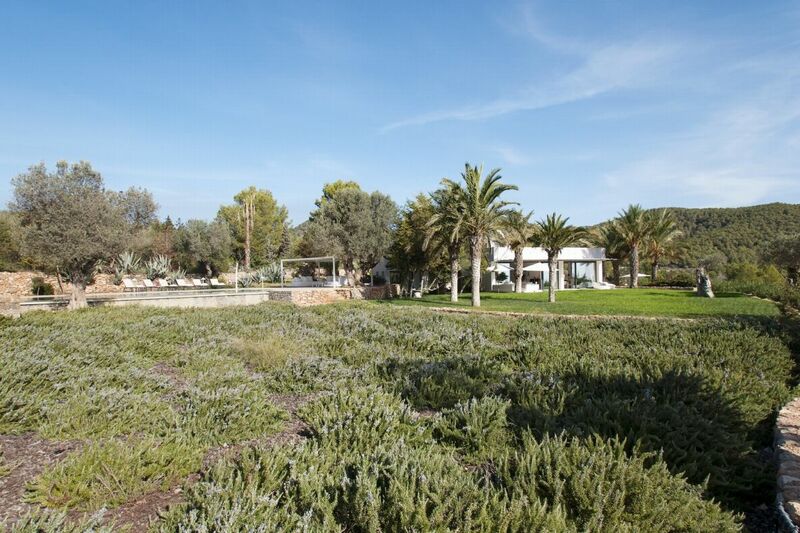 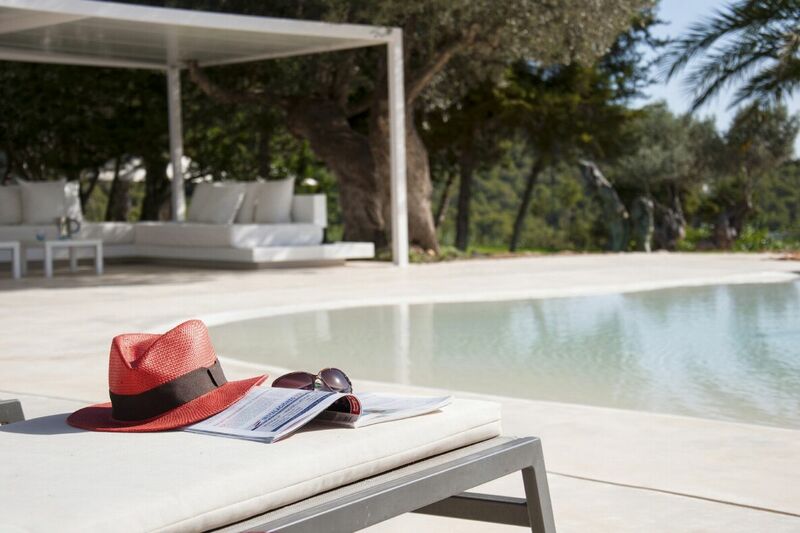 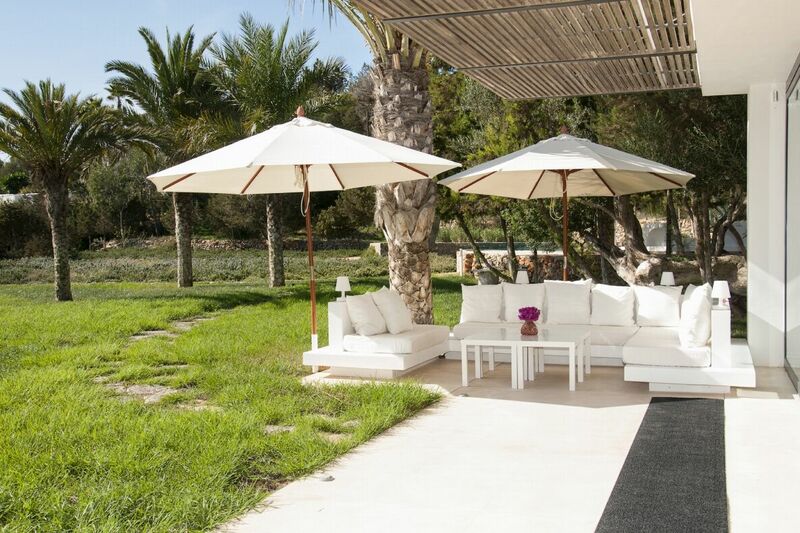 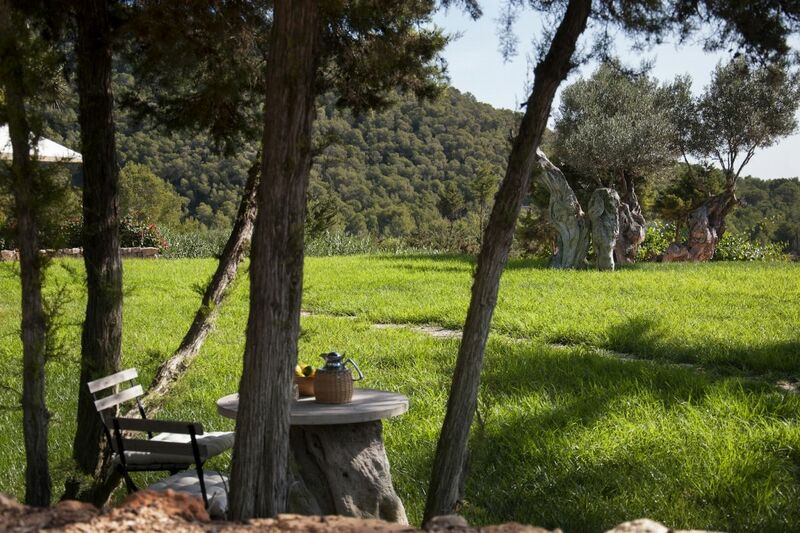 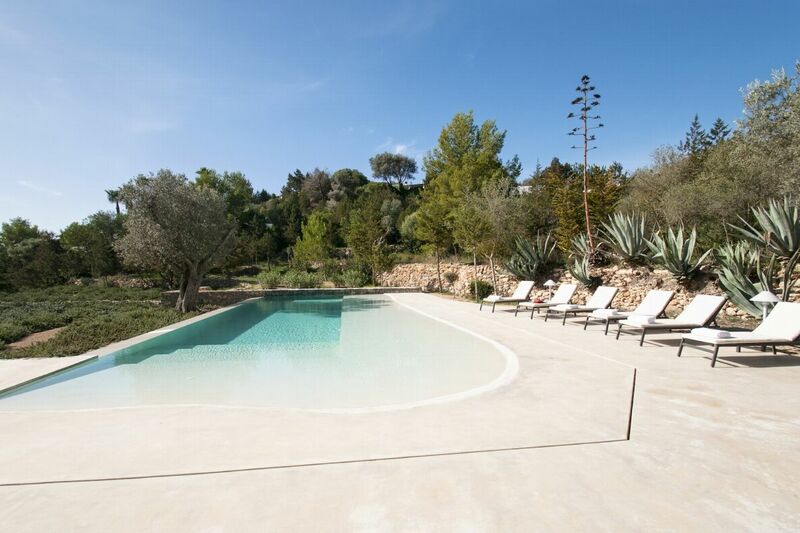 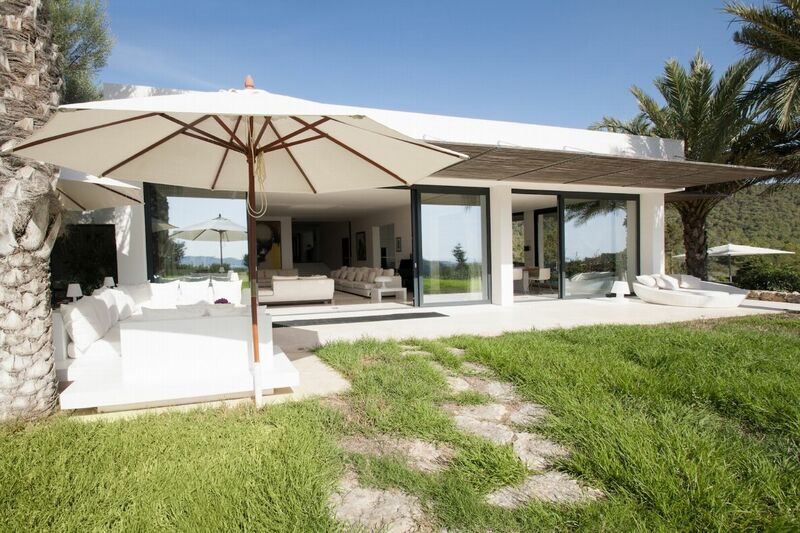 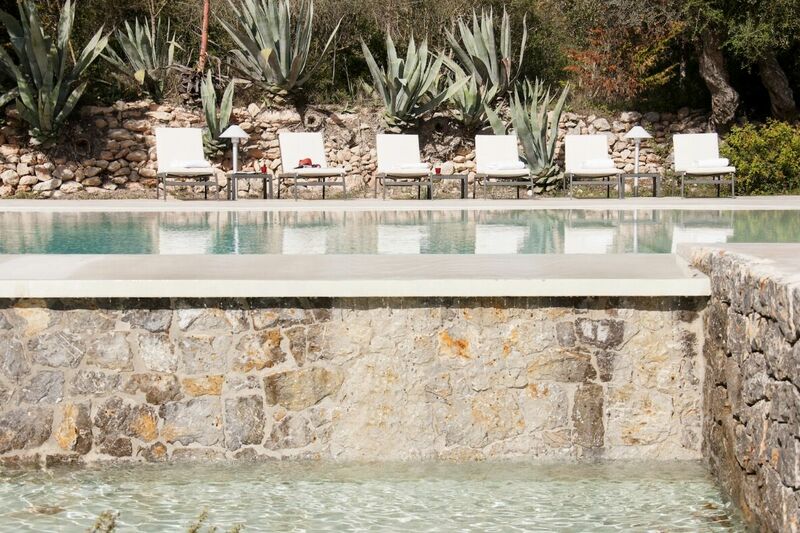 Picturesque Ibizencan style property with a variety of unique views located close to Ibiza Town. 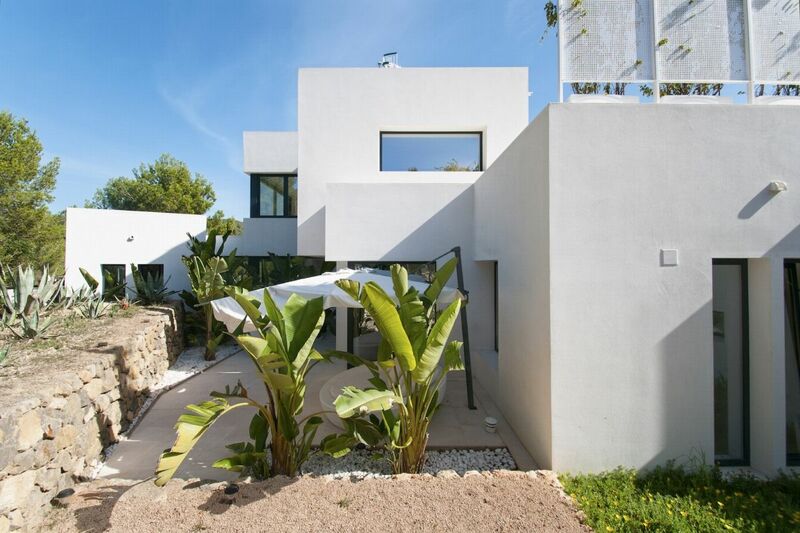 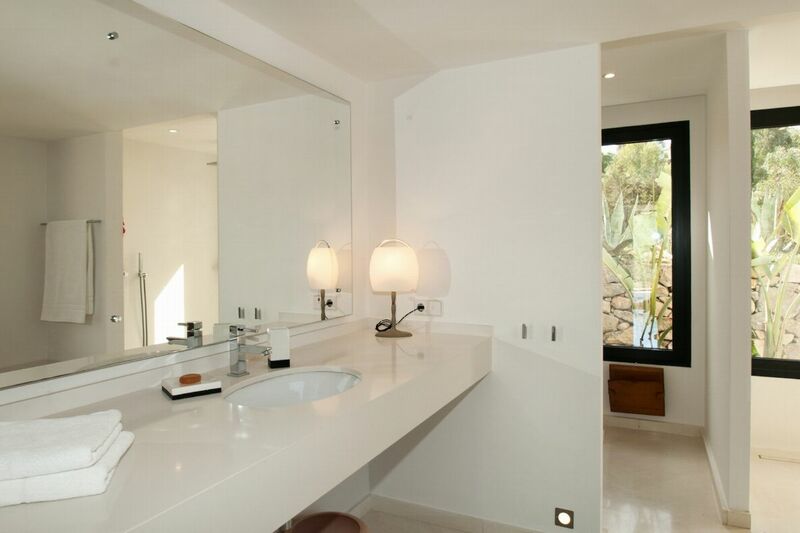 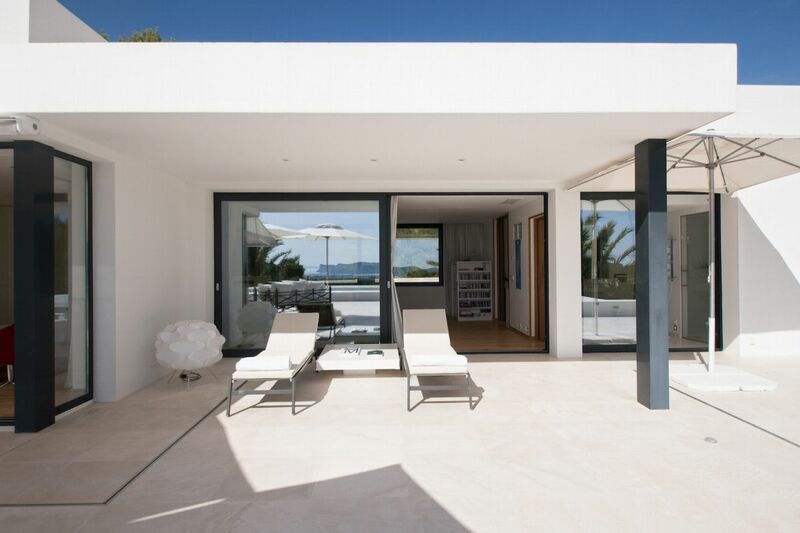 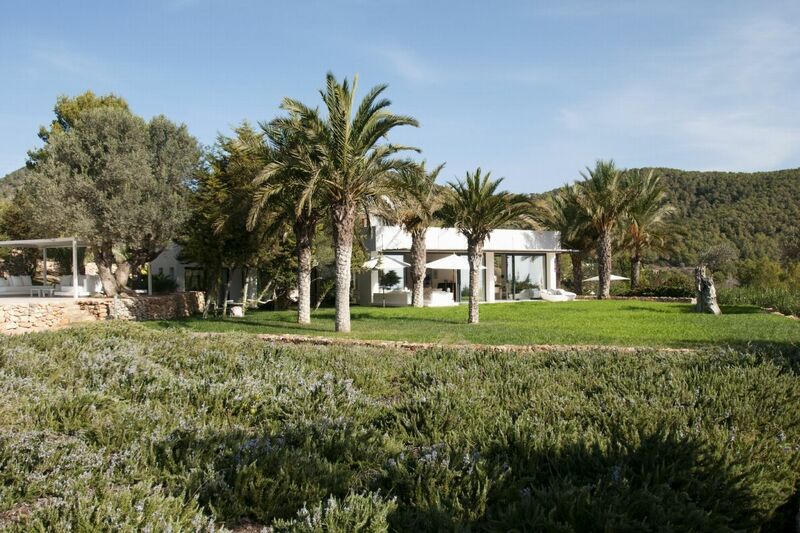 Ultra modern 6 bedroom villa, located 4km from Ibiza Town with panoramic views overlooking the famous salt flats, the sea and Ibiza Town. 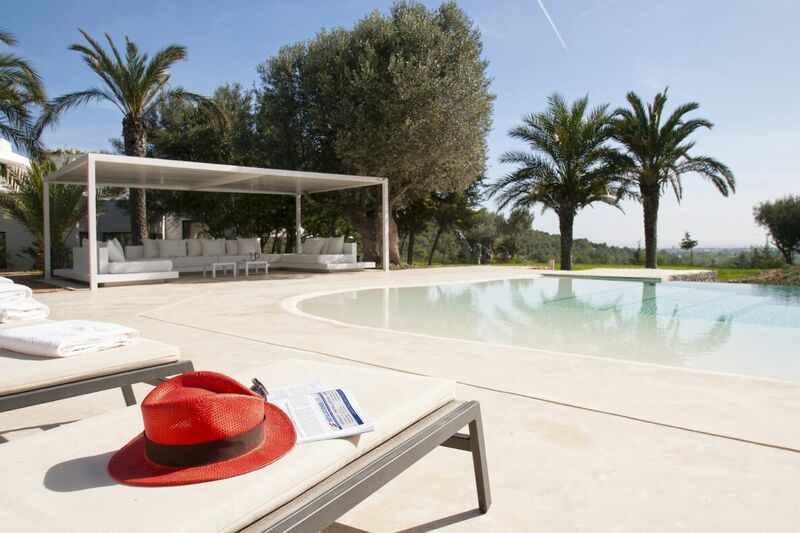 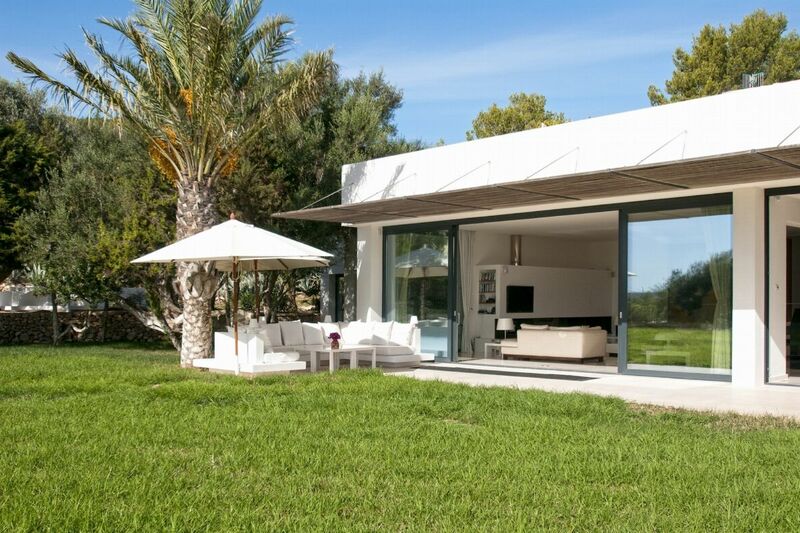 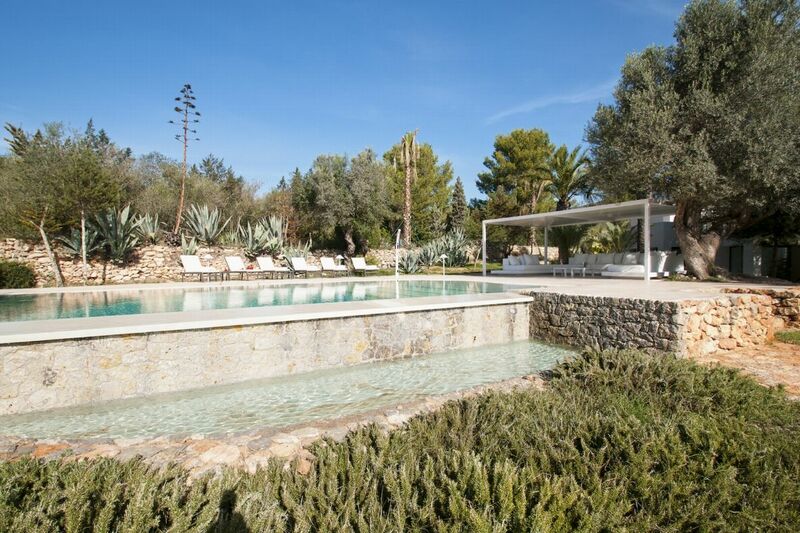 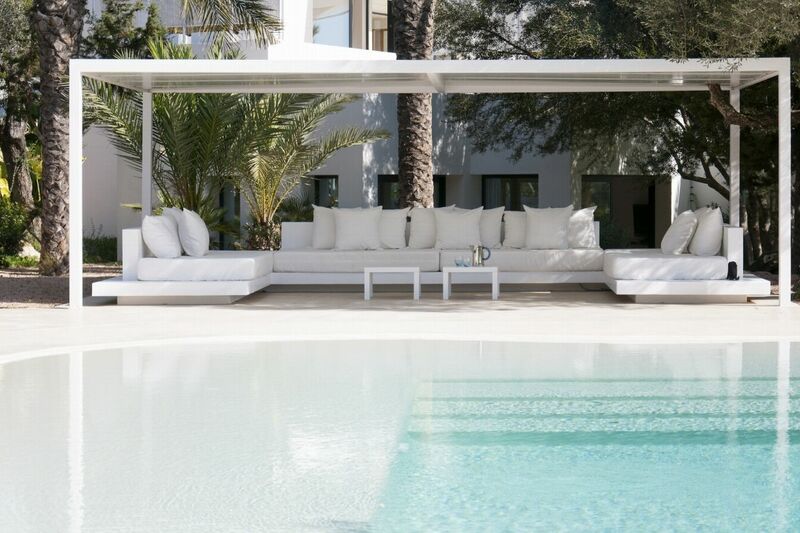 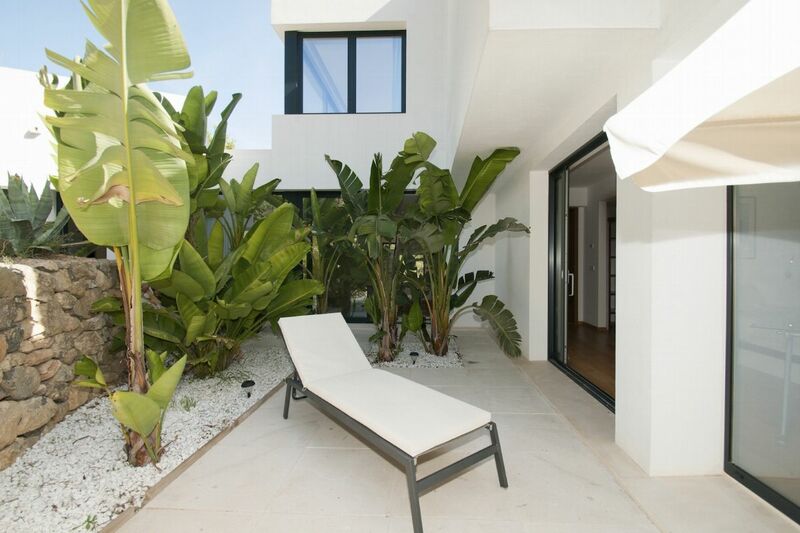 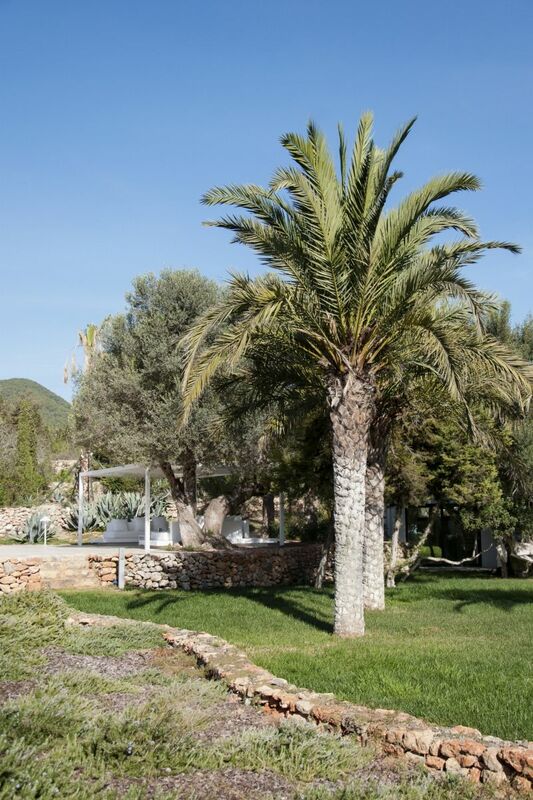 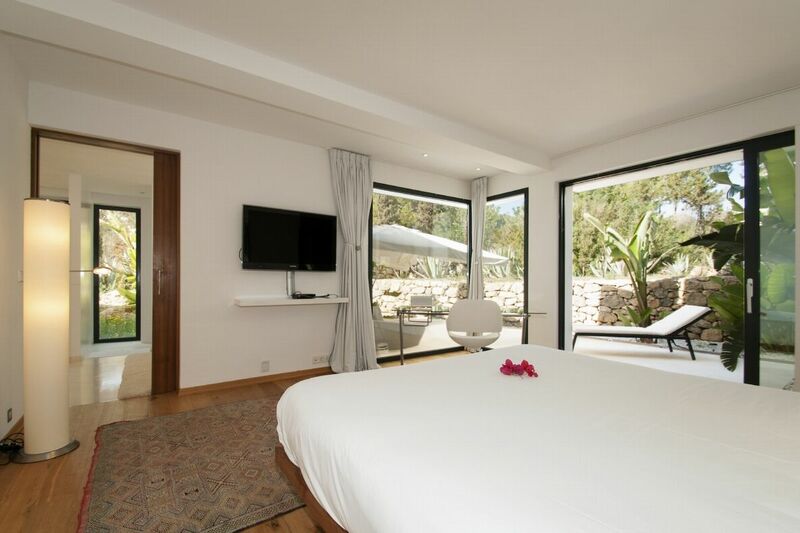 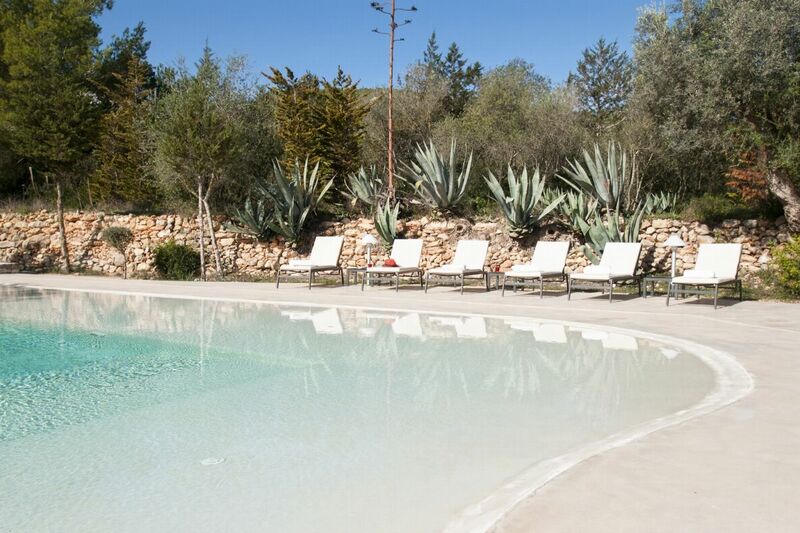 Set in 30,000m2 of land, the villa has huge open living spaces and an amazing 17 m swimming pool, a huge chill out area, lounging areas, sunbeds and sunbathing areas and a wonderful outdoor dining area with BBQ. 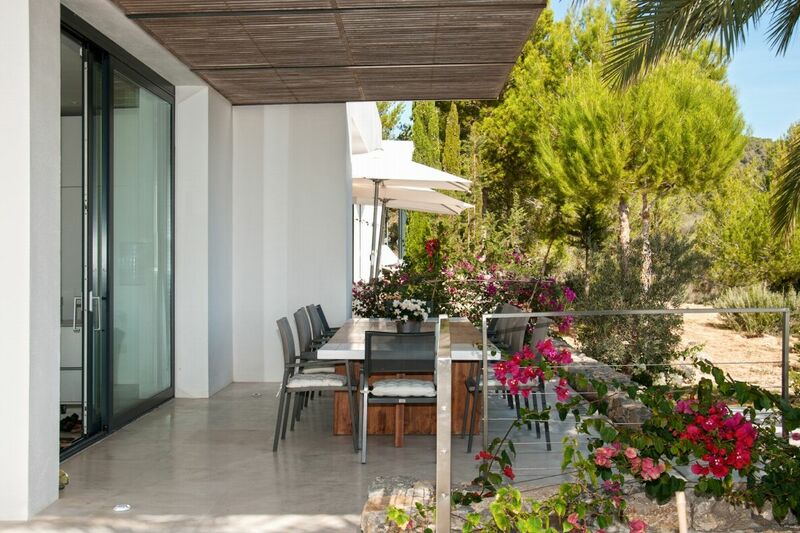 This villa has beautifully maintained gardens with many palm trees and the swimming pool has a beach effect - gentle sloping going into the pool - 17 m by 4 m widening to 7 m. LIVING AREAS The property boasts a huge, bright open plan lounge, dining room and fully equipped ultra modern kitchen with floor to ceiling glass doors. 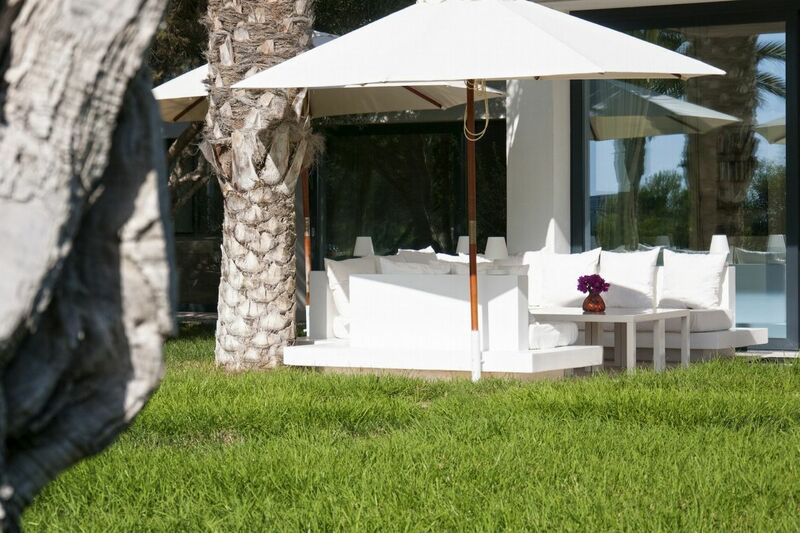 The lounge has large comfortable sofas and all high quality fixtures and fittings. 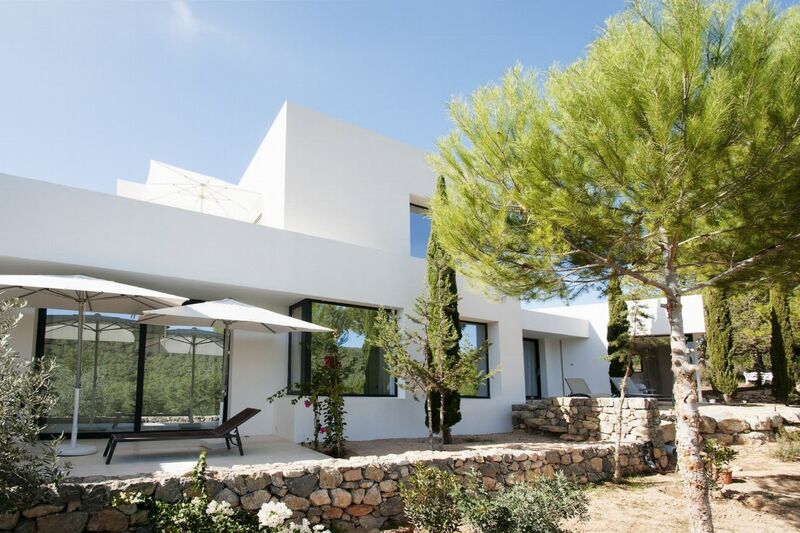 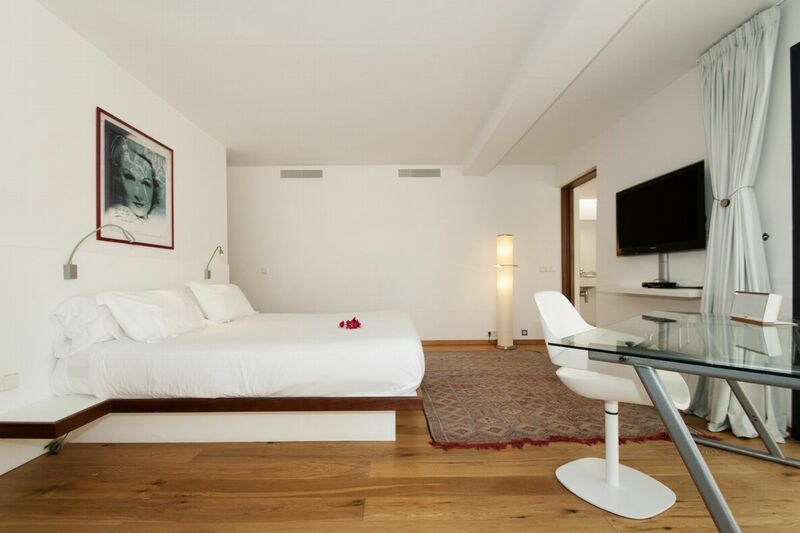 The property is fully air conditioned and there is access to WiFi throughout. 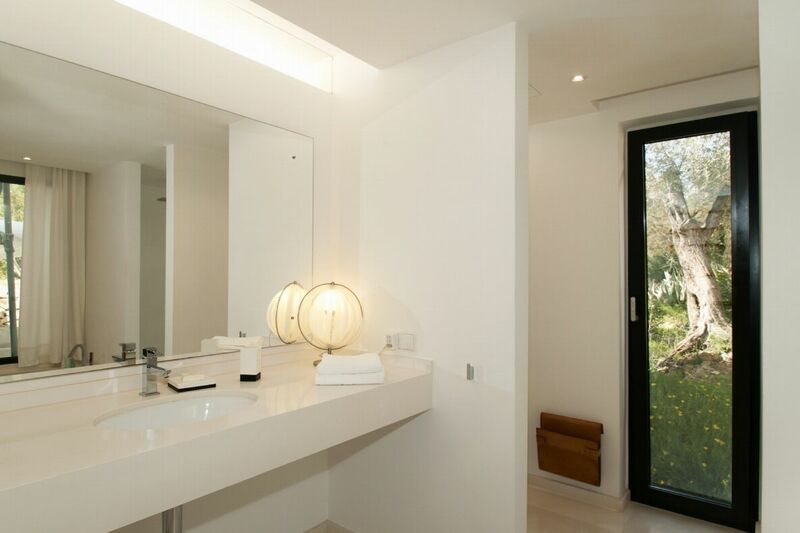 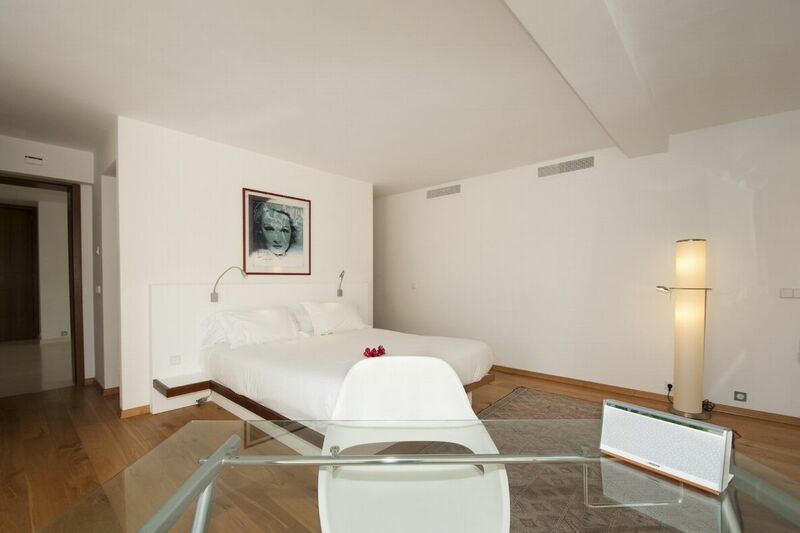 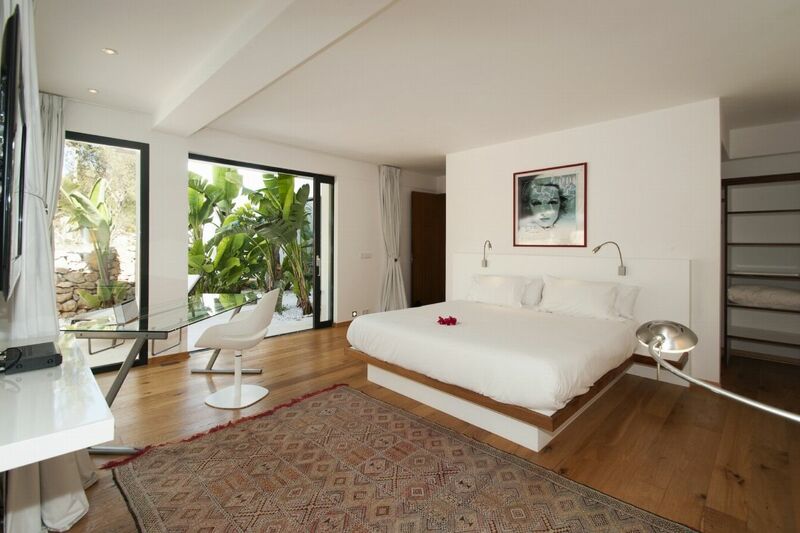 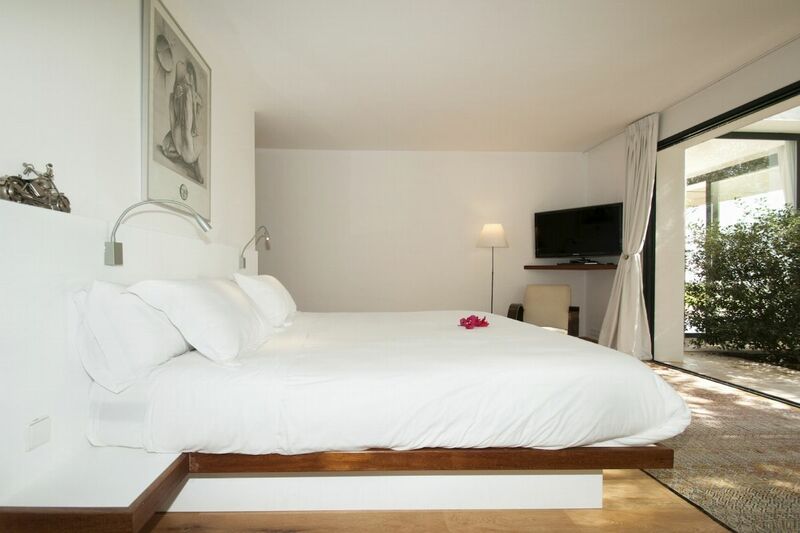 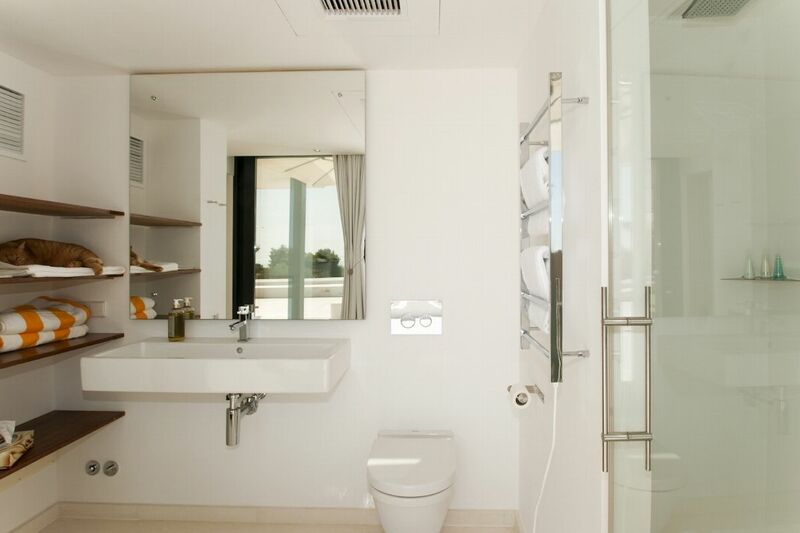 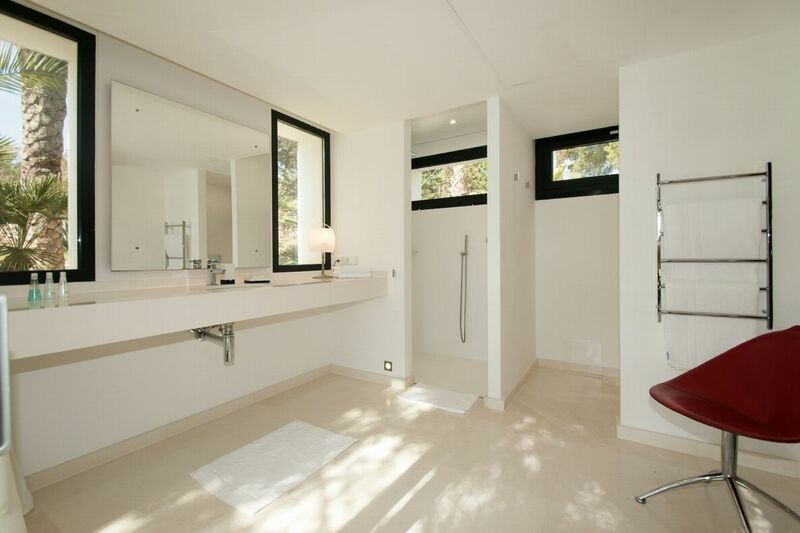 Queen size bed, en-suite bathroom with shower, wardrobes, glass doors to terrace south facing with view. 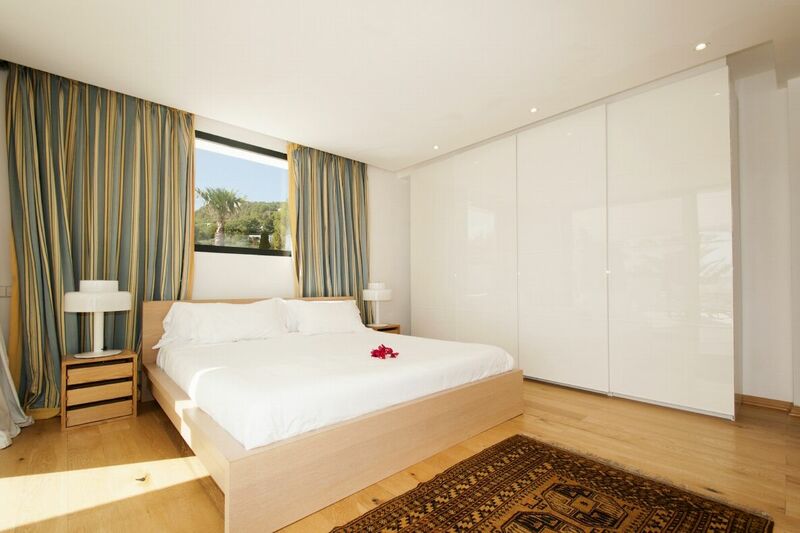 Queen size bed, en-suite bathroom with shower, wardrobes, glass doors to terrace, west and north facing. 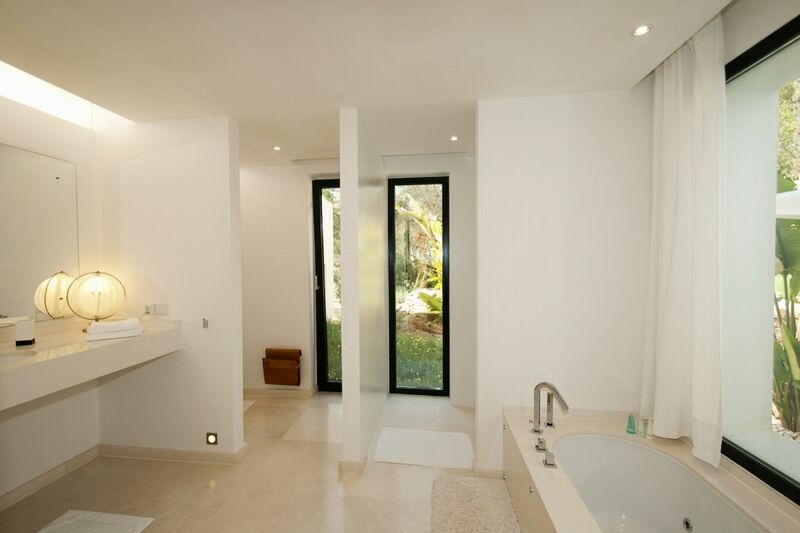 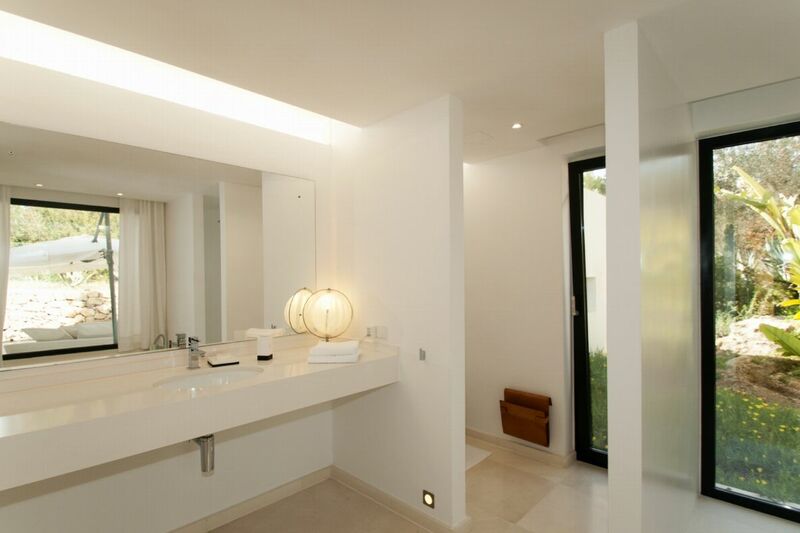 Queen size bed, en-suite bathroom with jacuzzi bath, wardrobes, glass doors to terrace, west and north facing. 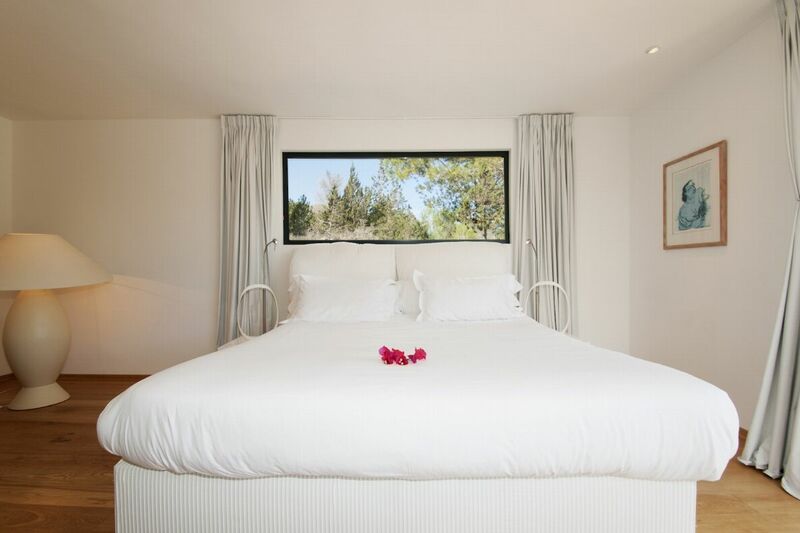 Queen size bed, en-suite bathroom with bath, walk-in wardrobes, south, east and north facing. 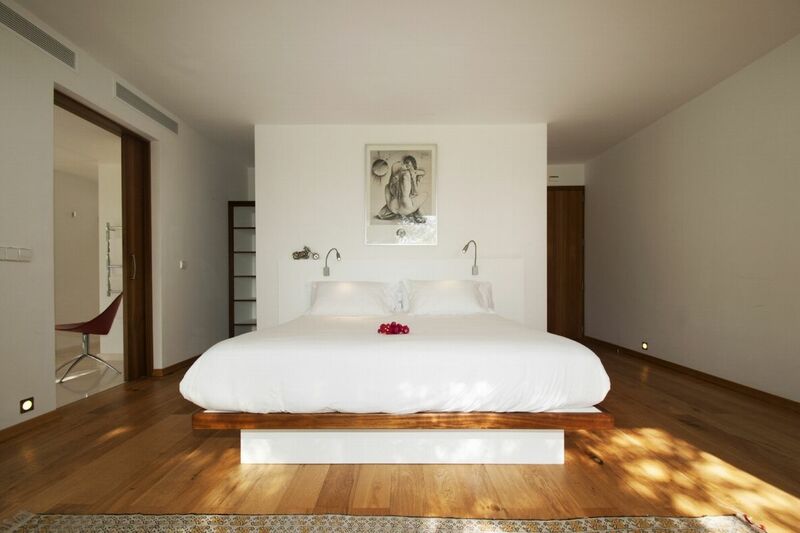 Stairs go up to the Master bedroom which is rather like a studio (one entrance) with queen size bed, en-suite bathroom . 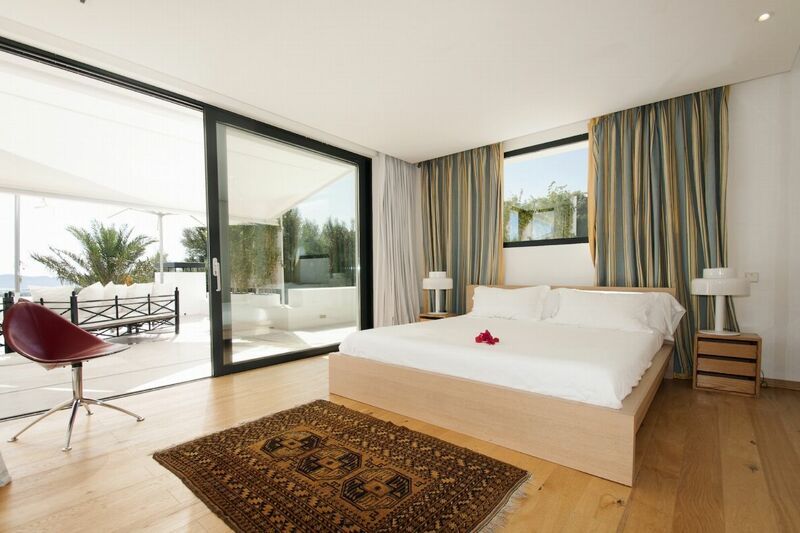 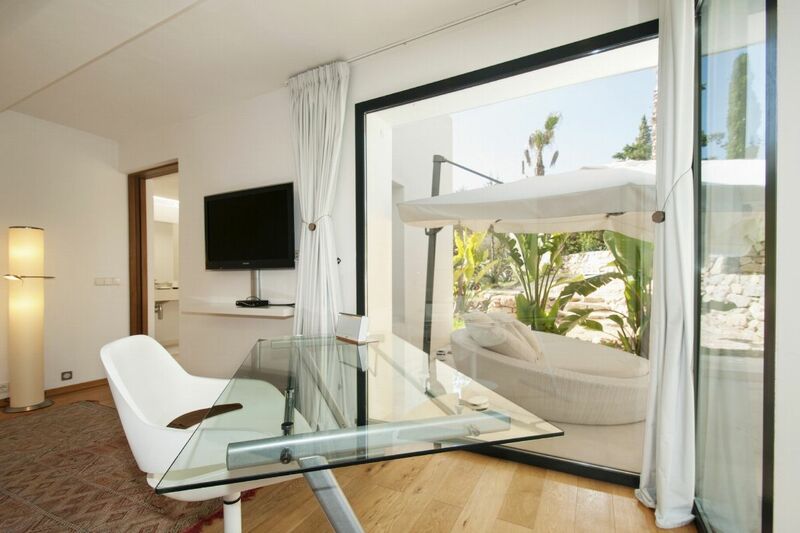 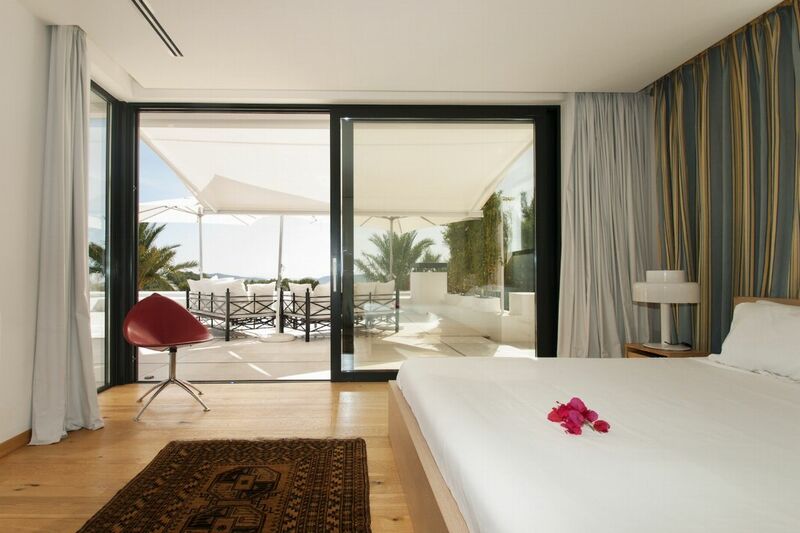 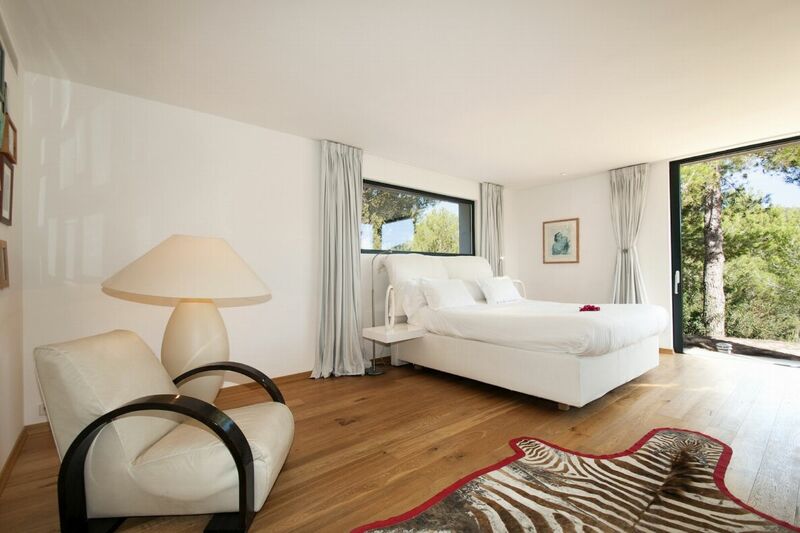 Connecting bedroom (ideal for kids), both with direct access onto a huge terrace overlooking the stunning sea views.